Overwatch is immortalizing another one of the Shimada brothers for its line of statues. 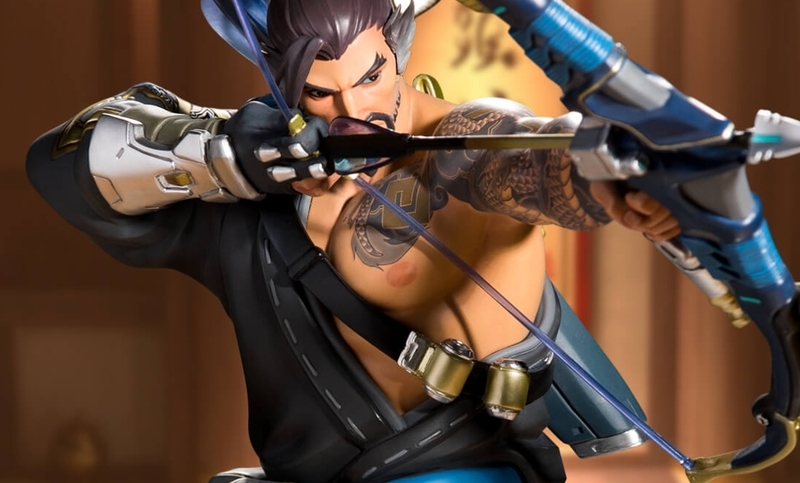 A Hanzo statue is available for preorder now on the Blizzard Gear Store, the Overwatch developer announced today. The 13-inch statue costs $175 and is scheduled to ship before the end of 2018’s fourth quarter. The hand-painted and sculpted statue features Hanzo with his bow drawn, ready to strike. Details are perfectly rendered, from his individual arrows to his stunning tattoos. It’s a good looking statue that’ll sit perfectly next to Overwatch’s Genji statue. The fourth quarter of 2018 isn’t too far away—it runs from October to December. You won’t have to wait too long to get your hands on the Overwatch statue, at least compared to the game’s Nendoroid figures, which take considerably longer to start shipping. Blizzard’s Hanzo and Genji Nendoroid’s went up for sale in October 2017, but are only scheduled to start shipping from this July to September. The dragon consumes… all of the money from your wallet.